You! Yes, you! You’re pretty comfortable, aren’t you? And why shouldn’t you be, as you’re wearing your KEEN Utility 1013257 8-Inch Mt Vernon waterproof steel toe boots. Those KEEN Utility boots work for you and any other man looking for quality hunting boot ... (see full details) (see specifications) #KEN1013257. You! Yes, you! You’re pretty comfortable, aren’t you? And why shouldn’t you be, as you’re wearing your KEEN Utility 1013257 8-Inch Mt Vernon waterproof steel toe boots. Those KEEN Utility boots work for you and any other man looking for quality hunting boots. Rejoice, for these men's shoes are American-built, and they're made with KEEN.Dry waterproof, breathable membranes. These will keep your feet and socks dry during your outdoor adventures. The TPU shanks are provided to you for midfoot support, and these will reinforce your arches. The Nubuck waterproof leather uppers keep your feet dry as well. Left and right asymmetrical steel toes will really come in handy, as will the removable metatomical dual-density EVA footbeds. You can take these out to clean them, air them out, or replace them (only if needed). If safety is your concern, this brown footwear is oil- and slip-resistant and non-marking. Rubber outsoles and lining with hydrophobic and hydrophilic 2Zone Comfort Technology are added touches for durability and dry interiors. Direct-attach PU midsoles make for long-lasting shoes. In addition, they meet ASTM F167796 Mark II non-slip testing standards, and ASTM F241211, and F241311 I/75 C/75 EH standards, too, for steel toe coverage and electrical hazard protection. The rugged safety toes will guard your feet against falling or rolling objects on the job site, and the electrical hazard protection will keep you safe around open circuits. These Keen boots that I purchased are by far the most comfortable steel toe work boot that I have worn in quite some time. I did order these originally in a half size larger and ended up a full size larger than shoes I had been purchasing. I actually prefer these for comfort over my tennis shoes. I was having foot pain with my other work boots and these have eliminated it. I also liked the fact that these were "assembled" in the USA. It may have imported parts but someone here put them together. Great fit, very comfortable. Love them so far. Just high enough on the ankle for extra support. Very warm insulation. Light as a feather almost don't know they are there. Walked 2 miles in them the other day and hardly knew it. I ordered these for my husband who has had the Keen boots before. He really likes how lightweight & comfortable they are, he said they feel more like a sneaker than a boot, which he loves. It was important for him to have boots with treads that weren't super deep (so he didn't track in). The last pair he bought lasted about a year, which is what he normally gets for wear on work boots. 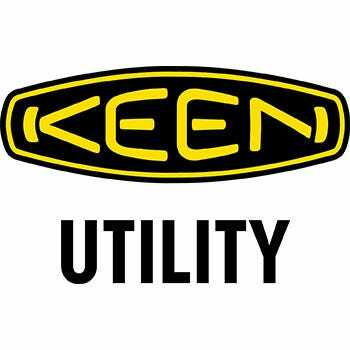 Keen has super helpful customer service & has been great about replacing the laces when they have broken or frayed. KEEN Utility 1013257 Men's Mt Vernon 8-Inch Steel Toe Boots is being added to your cart.